It is a curious story of how business partnerships in the printing industry can go horribly wrong. One particular bust up between business partners was brought back to life by the typographer and designer Robert Green, who discovered the evidence of a bitter dispute a century ago at the bottom of the River Thames. 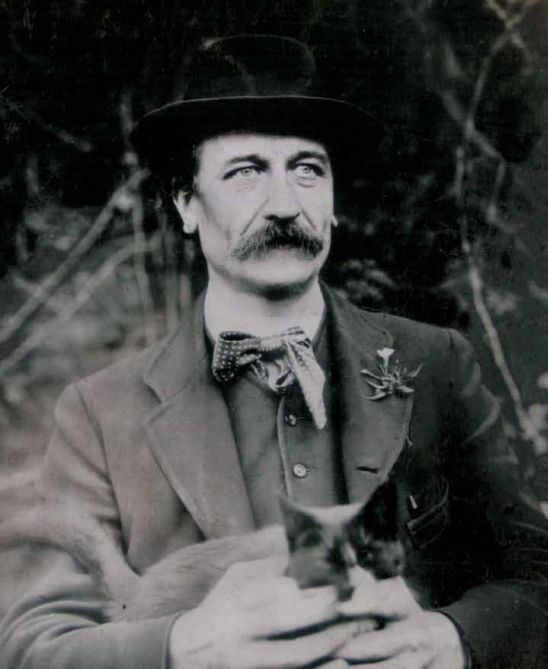 He says the dispute was between Thomas Cobden-Sanderson and Emery Walker at the Doves Press in London at the turn of the 19th and 20th centuries. Cobden Sanderson was a designer while Emery Walker was a printer. 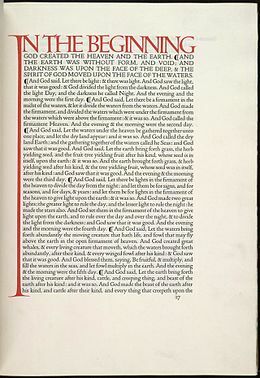 Both were dedicated to their crafts and as a combination created not only beautiful books, but also a unique typeface, the Doves font, designed largely by Cobden-Sanderson. The font was only available in 16pt and was seen as classic, elegant and sophisticated. The partnership began in 1900 after Cobden-Sanderson had in effect coined the phrase ‘arts and crafts’ to describe a revival of tradition craft skills used in a range of disciplines, in a generation of designers and artists in reaction to the mass production of the Industrial revolution. The partnership with Walker would continue to produce and celebrate this movement and some of the great works of literature including Paradise Lost. However, like so many partnerships, things began to go wrong. Walker had other business and social interests that kept him away from the publishing house which Thomas Cobden-Sanderson resented. By 1906 the partnership was under strain and Cobden-Sanderson suggested it should end. There was only one issue and that was who owned the font Dove. Cobden-Sanderson had been its chief designer but Walker had also had an input into the beautifully crafted typeface. Green began to recreate the font digitally by scanning each character to create a digital version of Dove. 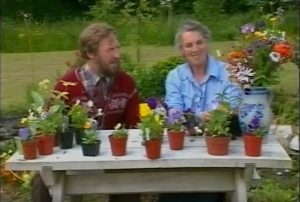 As he looked into the background of the two men behind the font he discovered the extraordinary outcome of their bust up. When the partnership folded in 1906 they appeared to have resolved the ownership of the typeface. Walker would have the right to continue using it and the metal characters so beautifully crafted for use in his letterpress, while the elderly Cobden-Sanderson would be the owner of the font until his death when the ownership would pass to Walker. The deal seemed to work until Cobden-Sanderson began to ponder on the agreement and found himself unhappy with it. So in an act of revenge he decided to destroy the typeface. Two years after the partnership ended, he returned to the print room and picked up the heavy metal typeface and put them into a bag and walked the few yards to Hammersmith Bridge where he threw them into the River Thames. Not just once, but perhaps it took him more than 150 journeys on foot to empty the characters and everything associated with the typeface into the dark depths of the river. A century later, Green had by now not only researched the dispute but was on the track of the lost font. He worked out where the lead had fallen and how the tides would have moved the small pieces on metal in the mud. Cobden-Sanderson admitted to disposing of the font in a letter to Walker’s solicitor. And it can be assumed the two men never spoke to each other again. 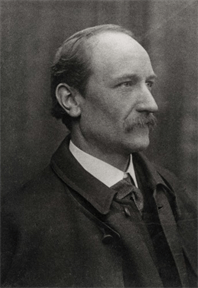 Cobden-Sanderson died in 1922, while Walker continued to work as a printer and was knighted in 1930. He died three years later. His house is open to the public once a year during London Open Buildings Day. 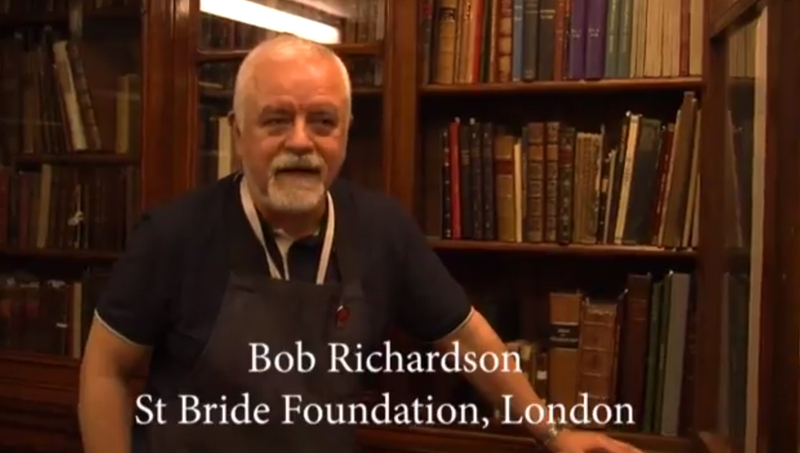 A brief talk by Bob Richardson of the St Bride Foundation just off Fleet Street in London about the library’s collection of books including some very ancient ones. Filmed in 2015 by Harry Mottram.